Listen to “097Mill Your Own Flour with a Mock Mill” on Spreaker. First off, I want to thank Eric Rochow of Garden Fork for subbing for Kelly and I on the previous podcast (episode 96). Thank you Eric! And I hope everyone listening to our podcast will also subscribe to the Garden Fork Podcast and YouTube channel. Please leave Eric some good reviews too! As for Kelly, she’s doing better and I hope to have her on the next episode of the podcast to talk about her aortic dissection adventure. On this special live episode of the Root Simple podcast I interview Paul Lebeau, who came all the way from Germany to demonstrate an interesting new home flour mill called the Mock Mill. The Mock Mill was designed by Wolfgang Mock who has, in his career, created what I think are the best home grain mills you can buy. What’s interesting about the Mock Mill is that it’s a stone mill that attaches to a Kitchen Aid mixer. This greatly reduces the cost and footprint of the mill. I’ve been milling my own flour for several years now with another mill designed by Wolfgang Mock and, like Paul, I think that everyone who bakes–bread, cakes, cookies, anything–should have a home mill. The flour you get is many orders of magnitude better, plus you can make flour with all kinds of exotic grains. This live event was made possible thanks to a number of people–Roe Sie hosted the event at his shop, the King’s Roost (Roe was a guest on episode 58 of the podcast), an amazing baker named Guy Frenkel, who I hope to have on the podcast soon, Leyna Lightman and the Los Angeles Bread Bakers, a Meetup group that I co-run. Some other folks in the audience: farmers Larry Kandarian and Alex Weiser, Sherry Mandell from the Tehachapi Heritage Grain Project, bakers Rose Lawrence, who teaches classes at the King’s Roost and Dana Morgan, who teaches classes at the Westchester Community Oven at Holy Nativity Episcopal Church (sign up for the Los Angeles Bread Bakers Meetup to find out about those classes). And a big thank you to Sharon for running the mixing board for me! My review of the KoMo FlicFloc grain flaker was featured on Cool Tools and, in the comments, got some push back on the price. At $169 USD (from Pleasant Hill Grain or The King’s Roost), it’s a fair objection. A number of commenters pointed out that you can buy grain crackers such as the one on the right for around $20 to $30 USD. I had one of these crackers for years (it’s headed to the thrift store on account of our recent decluttering). I’ve never liked it. It’s poorly made. The hopper never fit onto the rest of the unit. It must be disassembled to clean. 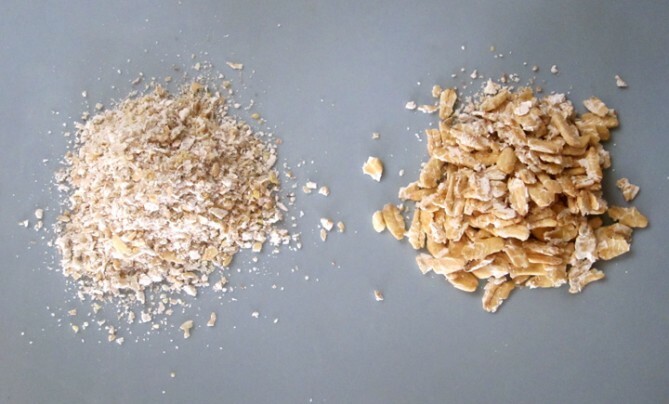 On the left are some oats run through the cracker versus oats, on the right, run through the FlicFloc. 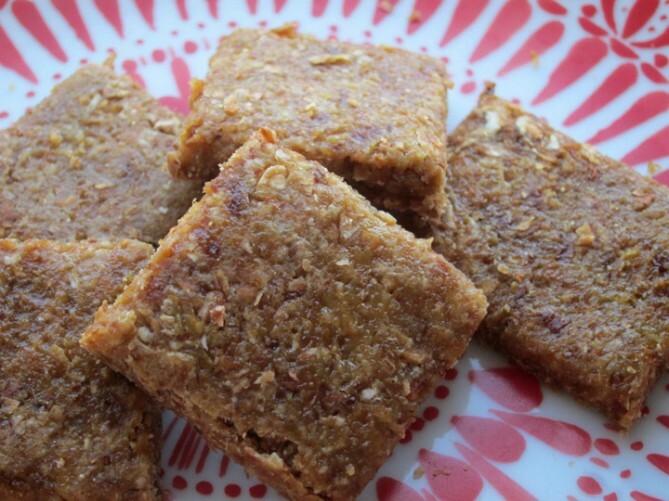 A cheap cracker is fine for cracking corn for chicken feed or making a course grind of rye for a Scandinavian style bread, but it does not make either flour or truly flaked grains. The FlicFloc flakes oats and cracks wheat and rye and it’s easy to clean. I’ve never regretted paying more for a tool that will last a lifetime. I have regretted, many times, buying cheap tools. The FlicFloc broke my Grape Nuts addiction. It will pay for itself. 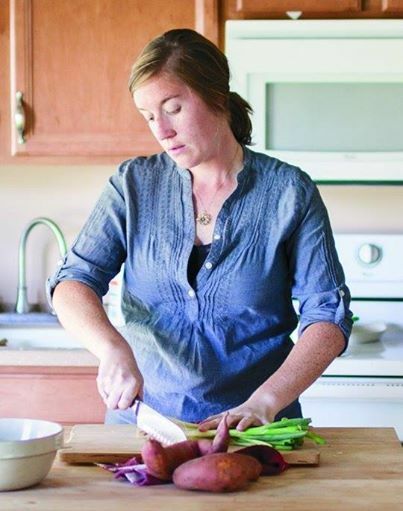 On the eighth episode of the Root Simple Podcast we speak with Erin Alderson about milling your own flours at home. 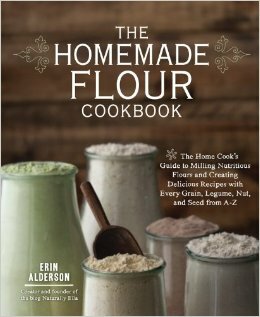 Erin is the author of The Homemade Flour Cookbook and blogs at naturallyella.com. 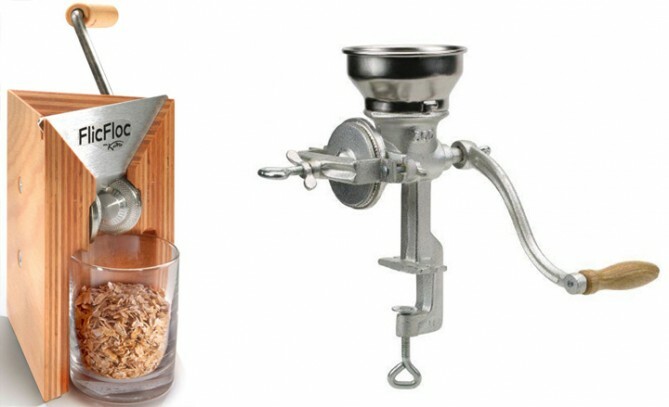 In our conversation Erin mentions that she uses WonderMill Grain Mill . I’ll add that if you’re in the Los Angeles area you can buy flour and grain at Grist & Toll in Pasadena. After my conversation with Erin I briefly mention my purchase of a flour mill, the KoMo Classic Mill .